Quinyx, the cloud-based workforce management solution, has raised a further $25 million in funding. 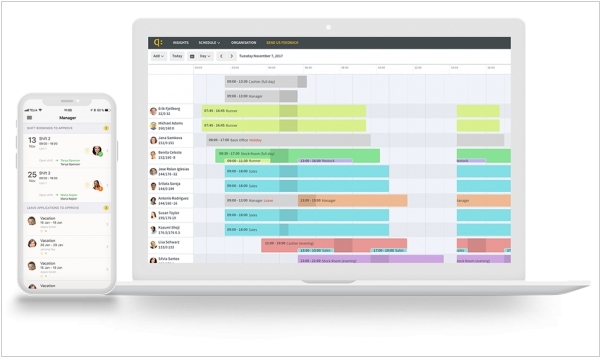 The company’s workforce management software helps businesses of all sizes manage employee scheduling, communication, task-management and payroll integration. Quinyx’s core focus is shift-based or ‘flexible’ workers, including but not limited to those operating in the fast-food industry. Clients include McDonald’s, London City Airport, Burger King, Rituals, Swarovski, IHG, and Boots. I’m told that more recent wins include Daniel Wellington, and Odeon Cinemas Group. The software’s feature-set includes scheduling, shift planning and swapping, timesheet functionality via workers checking in using Quinyx’s mobile apps, and budget forecasting. Payroll provider ADP acquired WorkMarket, a startup that specializes in workforce management software that operates across a wide range of employees and contractors. 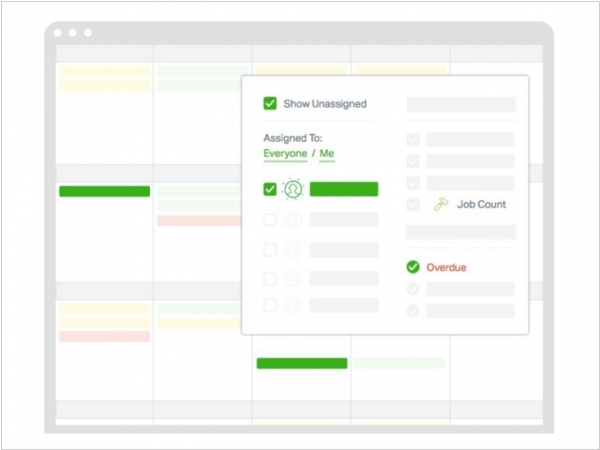 The software aims to create a kind of unified interface for managing an extended workforce that can include a variety of workers with different employment status, from contractors and freelancers to full-time employees. WorkMarket includes payment systems, management for extended employee networks, as well as a marketplace for piecing together a workforce that can fill the gaps for a company that’s looking to operate outside of the traditional range that full-time employees might operate. For ADP, it would seem to give the company that traditionally specializes in payroll another tool to convince enterprises to use it as part of a larger system of workforce products. Field service management software Jobber has secured a $8 million. Professional home and mobile service businesses have often relied on the desktop and even pen and paper, but it’s massively inefficient. Jobber provides mobile apps, scheduling tools, online invoicing, and simple customer management tools for these companies. Since it started in 2011, over three and a half million customers have have used it. The company claims it’s process over over $1 billion in invoices. In Jobber’s segment, the biggest competition is probably pen and paper. Other players include mHelpDesk, HouseCall Pro, Breezeworks and vWorkApp. In the enterprise segment there are larger, established players like ServiceMax and Bella Solutions. 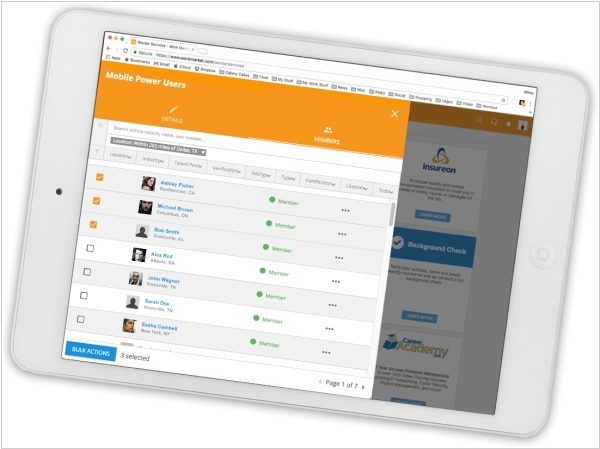 Cloud HR service Zenefits launched two free management tools generally reserved for larger enterprises. First of them - Zenefits for Managers is a tool that will allow managers within an organization to make HR changes on their end rather than waiting for HR or CEO approval. These are things like adding new hires, changing job titles and bumping up salaries. Zenefits will also start providing executives with access to business intelligence reports. Called Zenefits Business Intelligence, those using the platform will have the ability to filter workforce data such as compensation, employee headcount and turnover in real-time. This product aims to help reduce inequalities and give executives in different offices some insight on how their department compares. Customer service software provider Zendesk unveiled the Premium version of its live support chat Zopim, designed to help growing businesses scale their live chat operations. Zopim Premium helps businesses provide exceptional customer support while they grow. The new plan will include workforce management tools, the ability to scale your operation, and greater customizability. These features will equip support team managers with the tools they need to manage customer expectation and agent productivity. Zopim Premium is designed to provide managers with greater insight into their operations so they can manage customer expectation and agent productivity while remaining efficient at scale. Real-Time Monitoring offers metrics on customer satisfaction, chat queue activity, and agent load—helping ensure you meet your SLAs and even detect potential problems before they escalate.